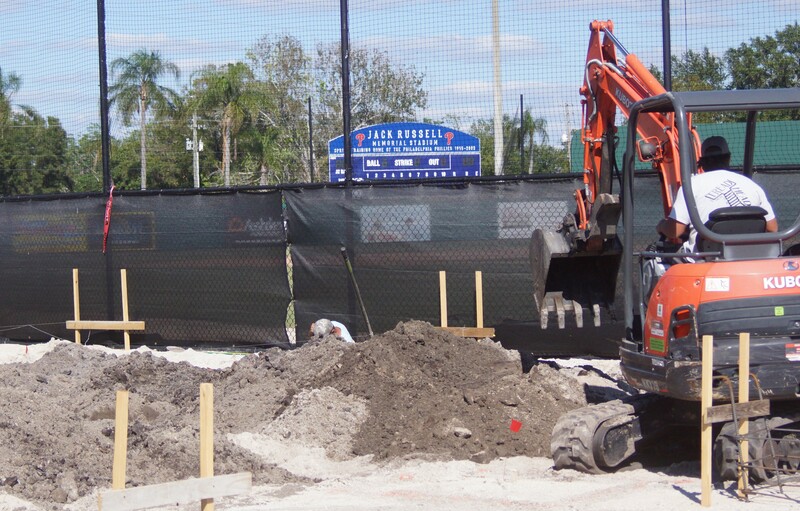 With the possible reconstruction of the Dunedin Blue Jays stadium during the 2018 Florida State League season the former Phillies spring training stadium is being reconstructed. Torn down in 2007 Jack Russell Stadium which was built in 1955 is now being rebuilt using the aluminum bleachers saved from the original stadium. The new seats are expected to be able to hold 1100-1200 fans for an FSL game. Jack Russell Stadium is less that two miles south of the present Florida Auto Exchange Stadium spring training home of the Toronto Blue Jays and summer home of the Dunedin Blue Jays. Jack Russell, Home of the Jays? What’s up Jack Russell… Bluejays? Tulo to Play in Dunedin Saturday?